This is a skin renewal treatment is made by Swiss Clinic, that aims to get rid of fine lines, the appearance of pores and produce collagen. 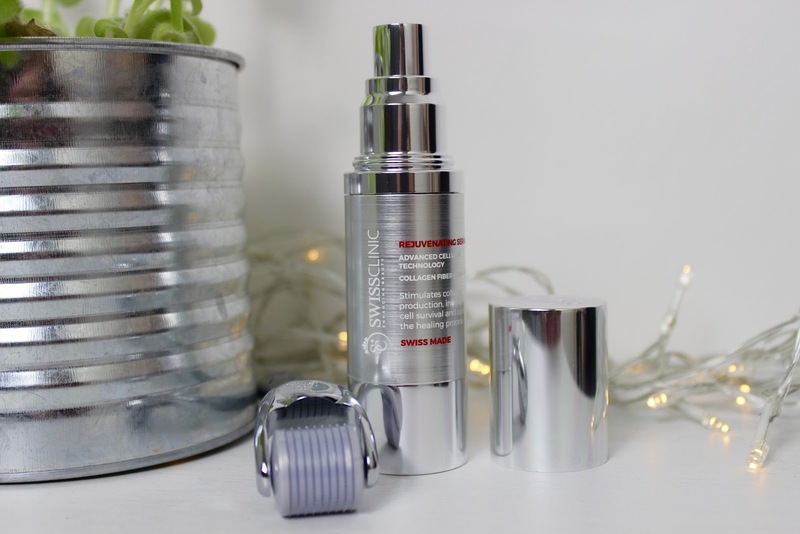 This treatment comes with two products, the serum and the skin roller that are both to be used together, the serum is applied and then the skin roller is then used to roll over your skin and do its magic which I will get into later on. 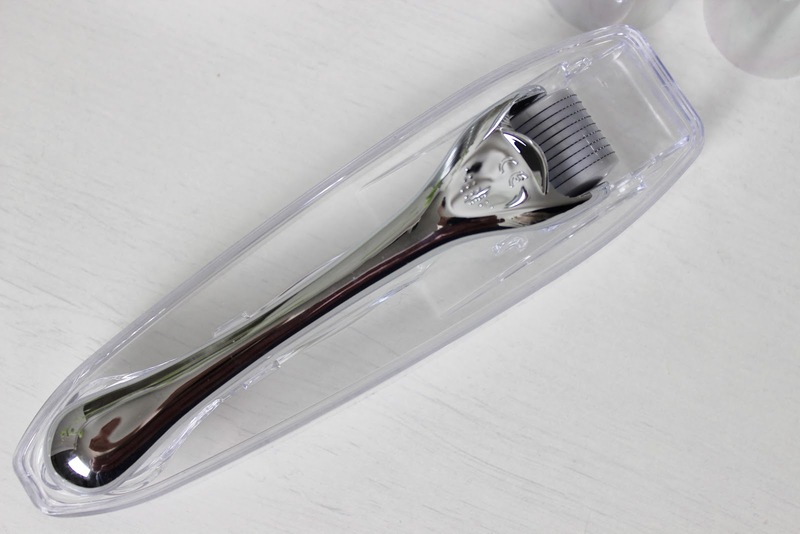 Firstly before purchasing you have to decide which size skin roller you want, the size refers to the needle(not an actual full blown needle) in the roller. 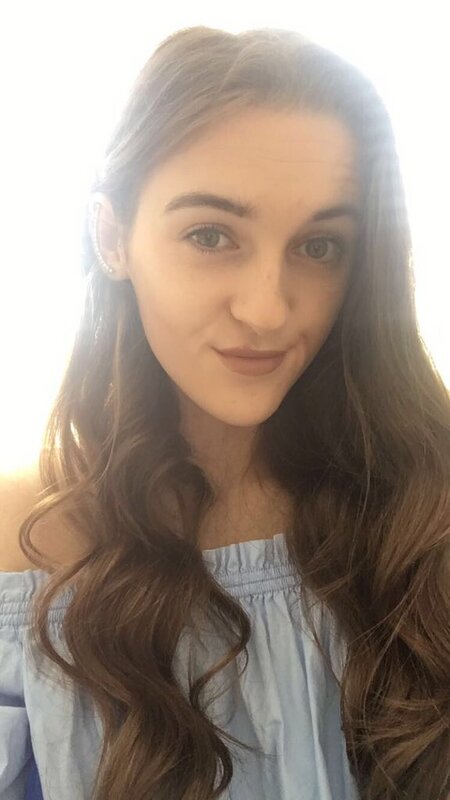 There is 0.2mm and 0.5mm, the 0.2mm is best for getting rid of spots, acne scars, eczema and preventing wrinkles whereas the 0.5mm is great for preventing ageing. The skin roller makes small micro channels into the skin to trigger a healing processes and increase collagen using the serum applied. It claims to "Stimulate and renew the skin - from within and without. It reduces fine lines, wrinkles and scars, softens the skin, stimulates blood circulation, improves elasticity and reduces enlarged pores. This effective treatment also leaves your skin with a more even tone, makes it more resilient, and preserves its vitality and energy by slowing the skin’s ageing process." . Firstly the after applying the serum I used the roller and I absolutely love it you just feel the little pins in your skin and I don't know why but it feels so satisfying rolling it on your face. Straight away it leaves your face feeling super soft, one thing I hoped this would do is make my pores look a little smaller as some on my cheeks are starting to be noticeably big and I was really surprised at how quickly it did this! I honestly feel like this helps brighten up your face and give you glow in your skin which for me is a big bonus with having dull skin. 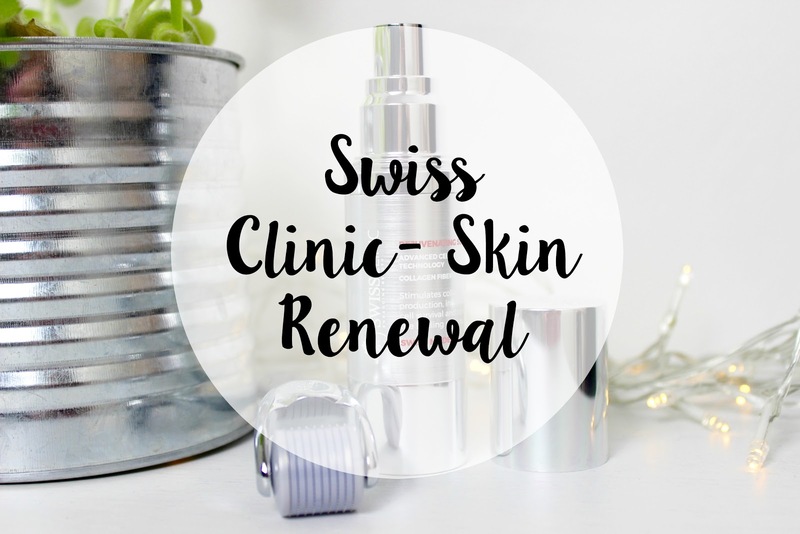 You can find Swiss Clinic here and it is currently on offer for £84 with free shipping so get your hands on this bargain. 7 comments on "Swiss Clinc Review"
I've never seen a product like this before! It sounds like a pretty good investment though! Not gunna lie Helena, the derma roller thing scares me a wee bit haha! brilliant post :) I need to try this brand! Crabtree & Evelyn- Mothers Day! Chroma Stationary- Mothers Day Gift!